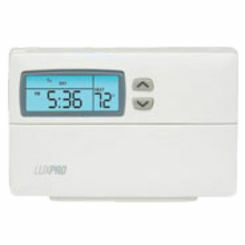 Whether you need a home thermostat or something for the office, PlumbersStock has a great selection of discount options. 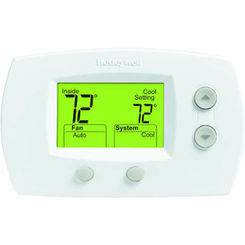 A new digital thermostat is a great choice, and updating can save you money on your electric bill and improve control over your heating and cooling. 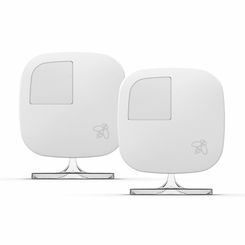 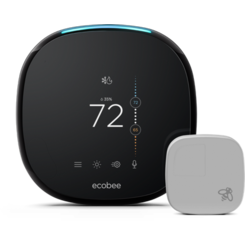 With programming functions, digital displays, and even Wi-Fi-controls, these programmable thermostats can move your home into the 21st century while ensuring a well-working AC system. 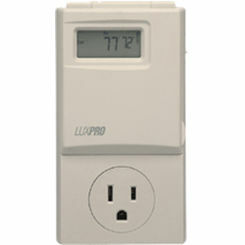 Read on for more information concerning our industry-leading programmable digital thermostat products! 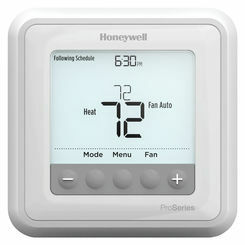 Compatibility: Does your AC system work with the thermostat you want? 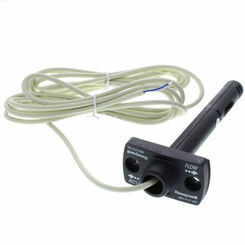 Make sure before you purchase. 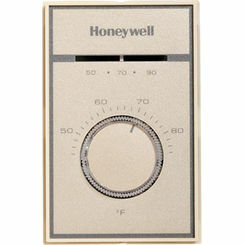 For example, your thermostat needs to match up with the type of system you have (central heat, central heat/air, 24V, electric, gas, or oil). 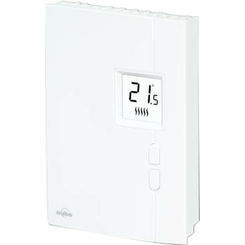 Complexity: If you don’t feel like bringing the added layer of complexity to your home that a 7-day programmable digital thermostat offers, we do offer plenty of manual thermostats that should work just fine. 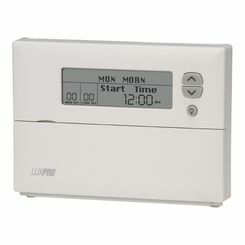 However, while they are inexpensive, they do not offer the energy savings or the usability of a digital product. 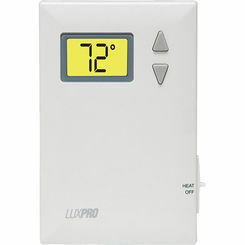 Extra Products: In addition to programmable thermostats, we also offer thermostat guards, heads, and other products to supplement the thermostat you purchase. 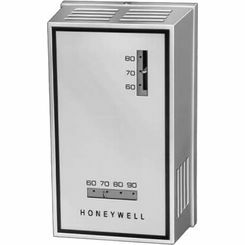 If you are purchasing this thermostat for a work area or for a school, consider buying one of these products; they may help you save money when all is said and done. 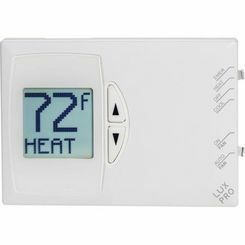 Heating a home from lower temperatures DOES NOT increase your energy usage: Studies have shown that keeping your home at a consistently high temperature throughout the day costs more money than letting your home cool down while you are away, before turning the heater up when you return. 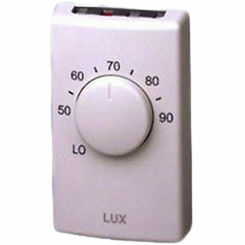 The opposite of this is true as well, so don’t worry about turning your heater/AC off while you are away. 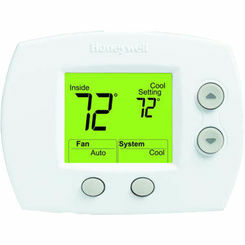 A 1-Degree drop/increase in your heating/cooling system can save you money: Even if it doesn’t seem so, a 1-degree difference can save you around 1% on your energy bill. 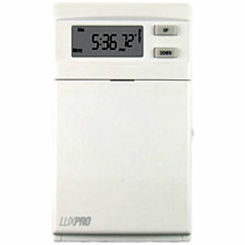 So, in the summer, try increasing the temperature by 1-degree every day and try it for a week. 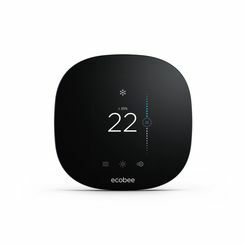 You’ll save money and find out where your comfort zone is (this also works for the winter, but in the opposite direction). 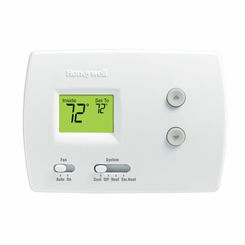 Set your digital thermostat ahead of time: If you have a fixed schedule of when you’ll be home/when you are away, set the thermostat accordingly. 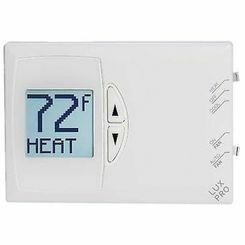 This way, you won’t have to worry about changing it whenever you get home—you can even set it so it’s already at the temp you want by the time you walk in the door! 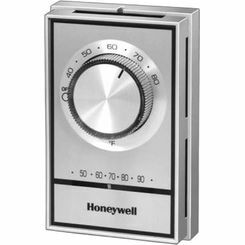 With a wide variety of digital thermostat products from reputable brands like Honeywell, LuxPro, Bramec, Robertshaw, PlumbersStock is your home for all things thermostat.  We offer all the best brands AND the lowest prices, giving you the best bang for your buck around. 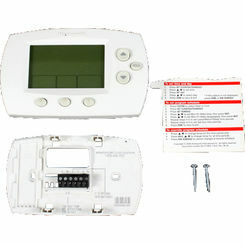 So, if you are ready to improve your home’s energy efficiency, try one of our discount products; you’ll be happy you did. 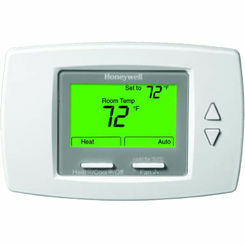 Call today for more information and save on thermostat parts, too.